Is Synnex Corp about to acquire Ingram Micro? Synnex Corporation is eyeing up an acquisition of fellow distribution giant Ingram Micro, according to a round of explosive rumours circulating across the channel. Trading in Tianjin Tianhai Investment Company - parent company of Ingram Micro and subsidiary of HNA Group - halted on 12 January, ahead of a widely expected “major announcement” in the coming days. Tianjin Tianhai owns Ingram Micro, following the completion of the Chinese conglomerate’s $US6 billion acquisition of the US-based company in December 2016. As a result, the trading halt has led to increased speculation that the distributor could be sold, with fellow titan of industry Synnex Corporation - which operates independently from the Taiwan-headquartered company operating across Australia and New Zealand (A/NZ) - touted as a potential acquirer of the business. “While [a deal for Ingram Micro] this could take place in a re-IPO [initial public offering] of IM [Ingram Micro], we have seen major consolidation across our distributors and ponder the possibility of one of our distributors buying Ingram,” wrote Adam Tindle, senior research associate at Raymond James & Associates, a financial analyst firm. Despite increased speculation however, Ingram Micro has moved to flatly deny the rumours. “We have spoken with executives at HNA Group and Tianhai Investment who have confirmed that the trading halt in Tianhai Investment shares is not related to any plan to sell Ingram Micro,” an Ingram Micro spokesperson told ARN. But should Tindle’s observations prove correct, the move would no doubt send shockwaves throughout the global channel. Such a deal would see the coming together of two of the three largest distributors in the world, representing combined revenues in excess of US$50 billion. With sales presence in 160 countries, Ingram Micro is the market leader globally, serving more than 200,000 resellers through over 1,700 vendor products. 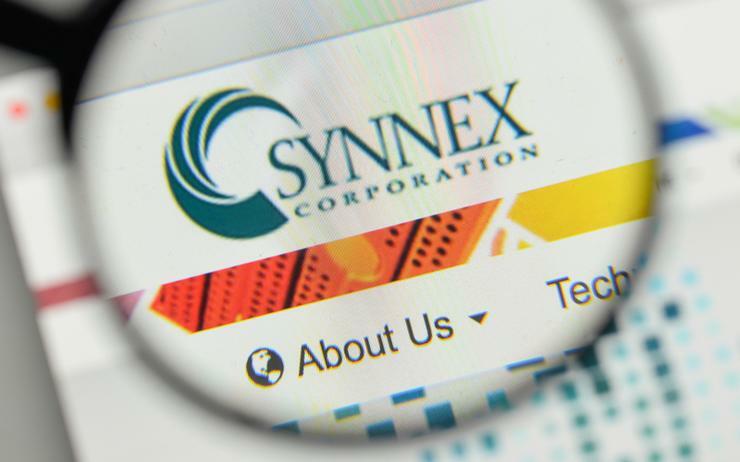 Meanwhile, Synnex Corporation - which announced the retirement of CEO Kevin Murai in early January - operates in more than 30 countries, leveraging a network of over 20,000 resellers and 300 vendors. Furthermore, the distributor completion of the acquisition of the Westcon-Comstor Americas businesses in September 2017, alongside minority investments in Westcon Asia Pacific (APAC) and Europe, the Middle East and Africa (EMEA) operations. Terms of the agreement sees the local and regional business of Westcon-Comstor remain under Datatec ownership, alongside EMEA which also follows the same shareholder agreement. As reported by ARN, the US-based business paid US$30 million for ten per cent ownership of Datatec's Westcon APAC and EMEA divisions. Known as Westcon International, the deal also includes an option to acquire another ten per cent within 12 months upon completion of the transaction. In addition, the distributor acquired the Americas divisions - spanning North America and Latin America - of Westcon-Comstor for US$800 million. Should a deal be struck for Ingram Micro, HNA Group’s control of the distributor would have lasted just over a year. According to Bloomberg reports, the Chinese conglomerate has been “facing increasing pressure” in the market, with a selection of banks allegedly freezing some unused credit lines to HNA units after they missed payments. HNA Group operates through an industrial model structured based around aviation, tourism, transportation, logistics, and financial services. Specifically, the business has in excess of $90 billion in assets with significant operations in countries including China, the United States, Singapore, Australia, Turkey, Norway, France, Spain, Switzerland, Ireland, Ghana, Belgium and Netherlands. With 2018 only days old, the narrative in distribution once again centres around mergers and acquisition (M&A). For this is an industry re-adjusting from a notable period of M&A activity, with the industry gripped by the notion of buying, selling and merging distribution businesses. At the top end of town, Ingram Micro now belongs to HNA Group of China, Synnex Corporation controls most of Westcon Group, Avnet Technology Solutions is now Tech Data and Arrow Electronics has full ownership of Distribution Central. From a specialist perspective, Ingram Micro acquired Connector Systems, Exclusive Group bought WhiteGold Solutions and prior to its acquisition of Distribution Central, Arrow also moved in for Observatory Crest. The result is a distribution market that differs from three, or perhaps even two, years ago. Typically, reasons for M&A activity stem from a desire to combine business activities, in the hope that performances increase and costs decrease in equal measure. In addition, potential benefits can be derived from sharpening the focus of the business, increasing supply chain pricing power, entering new markets and eliminating competition. The channel will no doubt cite all of the above as key reasons for joining forces with one-time rival businesses, and irrespective of whether an industry-defining Synnex Corporation acquisition of Ingram Micro happens or not, more M&A activity is widely expected in the 12 months ahead.